At that point, I decided to make some puppets for him that also communicate his most frequently used emotions. He is autistic, and although we communicate with a core communication board , I thought the puppets would be a more fun way for him to carry around these visual aids, as well as being a fun toy (you can read more about our shared spectrum story here). These can be made by anyone! If your children are old enough to learn to sew, this is a perfect project for them to practice blanket and back stitches! There are faces for feeling: happy, sad, yucky, angry/hurt, and worried/scared. You could certainly color-coordinate the color of your felt to the emotion, but I stuck with mostly skin tones that match closely to his, so he'd recognize them easier. I recommend using wool felt , as these sheets are much more durable, and double strands of embroidery thread for each stitch. Start by downloading the pdf pattern (the pattern is free, but does require an email address to where your PDF download will be sent. I won’t share your email with anyone, and it will strictly be used to send you my bi-monthly newsletter. You can unsubscribe anytime, although I hope you won’t 😊). Once printed, trace 10 circles with a pencil or Disappearing Ink Marking Pen on your wool sheet, cut them out with Embroidery Scissors , then copy the facial expressions onto a sheet of tissue paper. 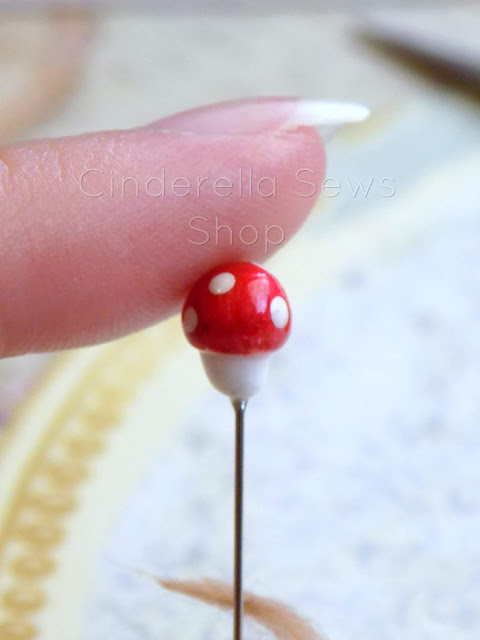 Pin the tissue to your felt circles (you can find cute collectible, hand sculpted sewing pins in my shop) and stitch through the tissue using back stitches. Once finished, simply tear the paper away from the finished stitching, and you're finished with the embroidery! To make your puppets, align your back circle with your front circle, knot your thread, begin by sewing through your back circle as indicated on the pattern (blue line), then loop around the outside and pass your needle through again. Continue with a blanket stitch (here is a video tutorial for both stitches) until you reach the stop mark on the pattern (second blue line). Pass your needle through the front circle and knot your thread between the circle to hide the knot. Rinse and repeat for your other four finger family puppets. If you’d like another tutorial on a drawstring carrying pouch, feel free to comment below to let me know! 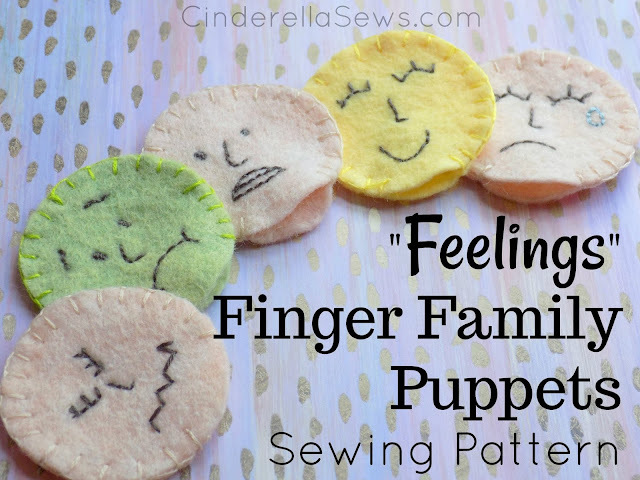 I hope you enjoy this project, and your kids like their finger family puppets! Don’t forget to jump on our Christmas Critter Sew-a-Long on Instagram starting December 1st!